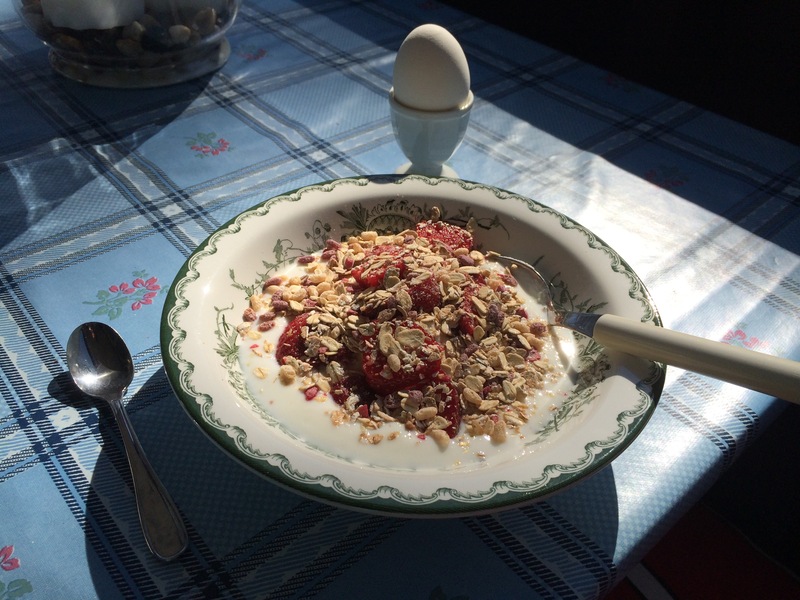 There are a lot of different foods that are possibly eaten at a breakfast in Sweden, but the “everyday” breakfast is what I have come to enjoy. 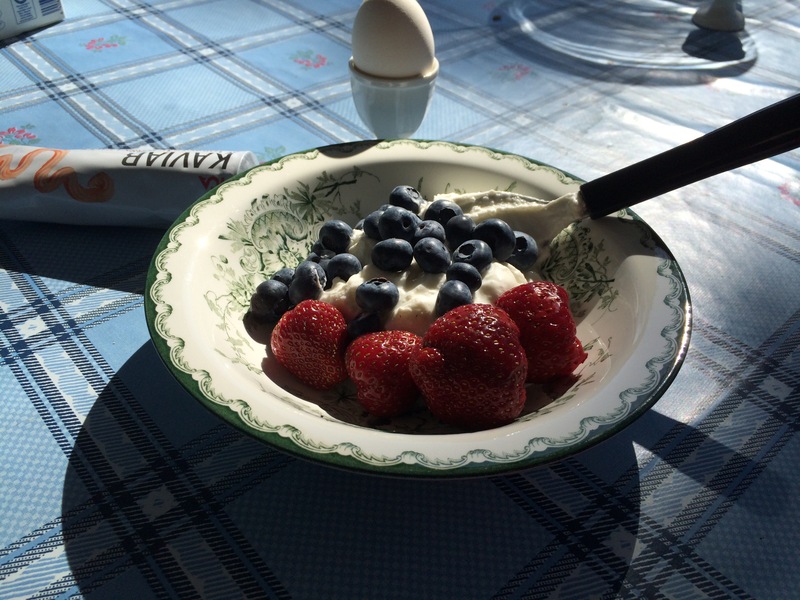 When I moved to Sweden from the US, I ate cereal and maybe a banana for breakfast, but eventually I adopted a more Swedish yogurt and egg breakfast. They sell yogurt by the liter here, and there are so many flavors it can make your head spin. A lot of them have quite a bit of sugar, so I stick to natural most of the time. When it comes to yogurt, there is also an option called “kvarg”. There’s cooking kvarg and eating kvarg (I don’t know the difference); basically the kind you eat is a super dense version of yogurt. So it’s like a thicker and less liquidy Turkish yogurt, with even more protein. Eggs in Sweden are boiled either soft, medium, or hard, and served with caviar – and this is the only way they are cooked. Not fried, scrambled, or any other variation. Just boiled. At first this was weird for me, now it’s something I have come to like (but I still fry an egg sometimes). The caviar is a special and acquired taste, and it is somewhat salty and smoky most of the time, which I liked immediately and will sometimes eat on a sandwich, too.